BOP ON TREND: Black & White. I recently decided to take the plunge and chop off 6inches of my hair! I wanted to go shorter but since it was my first time in a long time having short hair (3rd grade?? ), I guess easing into it was the play. I went to Antonio Prieto in Chelsea and had Brenna, who was great and I would definitely recommend. I was contemplating this drastic change for a while, keeping in mind that hair always grows back if I absolutely hated it. Did I ever think I could pull off short hair? Meh. It wasn't something I pictured myself doing until later down the road but I'm so happy I did. Watching my locks float to the floor as I sat patiently in the swivel chair turned out to be extremely freeing and much less stressful than when I go in to get a simple trim. Would you opt for a shorter do' this season? 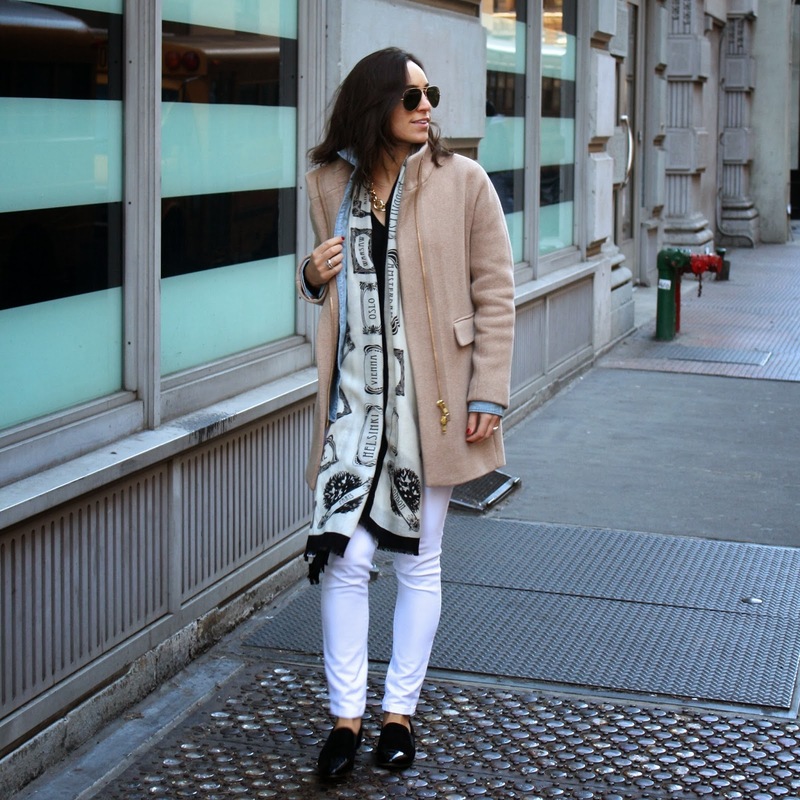 A bit on what I'm wearing: Black & white always look chic together. I decided to take my own advice and layer up with fun textured pieces, like these Vince Camuto suede and patent leather flats (Michael Jackson, anyone? Yow!). That is an amazing scarf. The print is so unusual. Your shorter hair looks great! Yeah, in this modern era every lady likes to wear designer and fashionable scarf. Even women love to shop for Kate Spade scarf. The most excellent part of online stores is that you can find enormous discounts on products.